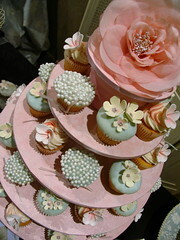 Deluxe wedding cupcakes created & designed by Le Cupcake. 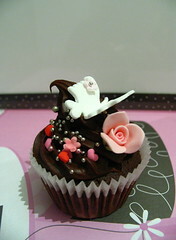 Chocolate mud cupcake with chocolate ganache icing & an assortment of hand made sugar decorations.........by Le Cupcake. 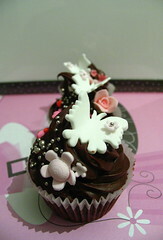 Chocolate mud cupcakes with chocolate ganache icing & an assortment of hand made sugar decorations.........by Le Cupcake. 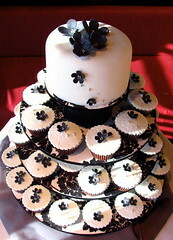 Chocolate Mud cupcakes with chocolate ganache icing, topped with lace embossed fondant, silver cachous & hand made flowers. 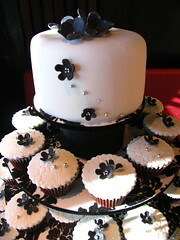 Chocolate mud top cutting cake with hand made edible flowers & silver cachous. 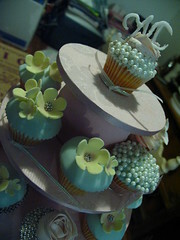 Custom made cupcake stand designed by le Cupcake. 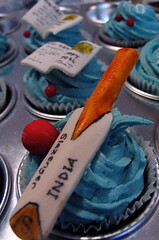 Hand made edible decorations...cricket bats & balls, newspapers (for a cricket loving journalist). 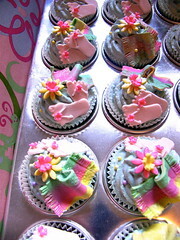 Very rushed (last minute order) so not as good as they can be. Not a great photo...will put more up soon! 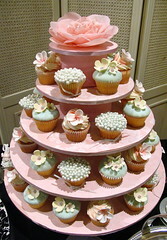 We also supply custom made & designed gorgeous tiered cupcake stands for any event (as also seen in magazines) with our unique stands adding that extra special beauty to the over all effect! Unfortunately due to recent copying of our designs, we are - for the time being- no longer putting up our new photos. 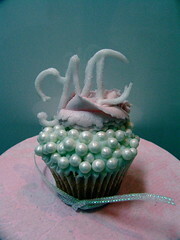 We apologise for the inconvenience, however we can email photos to you if you wish to see any new designs.